Well this may ruin Spring Training plans for a bunch of people. Signs also point to the Padres and Dodgers playing exhibition games in Beijing, China, on March 15-16, 2008...The delay in making that announcement has nothing to do at this point with MLB, DuPuy said, since the Padres, Dodgers and players union are all in agreement about going. It's not yet official, but if your planning on heading out to Dodgertown I'd wait to find out if the team decides to cut their Florida spring short. 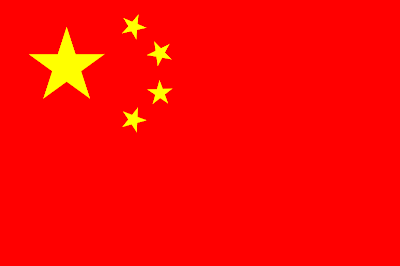 They could still just send a split squad to China and keep everyone else in Florida. Team USA wins four in a row and earns the top seeding in the quarterfinals as they edge past Chinese Taipei, 10 to 7. If things continue on this track we may see a Cuba vs. USA match-up. Dodger Andy LaRoche had 1 hit in 5 at-bats while recording 2 RBI's. Colby Rasmus walked to lead off the (5th) inning and Nix followed with a single. Rasmus and Nix then pulled off a double steal of second and third and Andy LaRoche ripped the next pitch into the right-center gap scoring both base runners. Two batters later Longoria ripped a single to left scoring LaRoche and giving the U.S. a 6-3 advantage. "Delwyn Young is just plain fun to watch. Whether it's the 3-run bomb, the facial-Jim-Edmonds-esque catch in left, the wide open jersey a la David Wells, or the, what has to be 74 in. bat he swings at the plate, you get your money's worth." I hope these 2 kids get a chance to prove themselves with the Dodgers. Sure, we've seen jerseys worn by Babe Ruth or Lou Gehrig, but how about a game-used bat by one of the games earliest stars. Well, Vintage Authentics is auctioning off an item just like that. 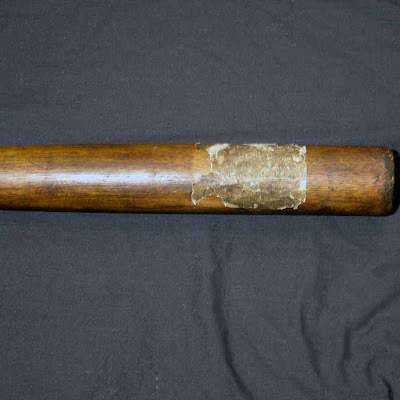 Below is a game-used bat from the first member of the 3,000 hit club, Cap Anson. What's great about this bat is it's provenance. 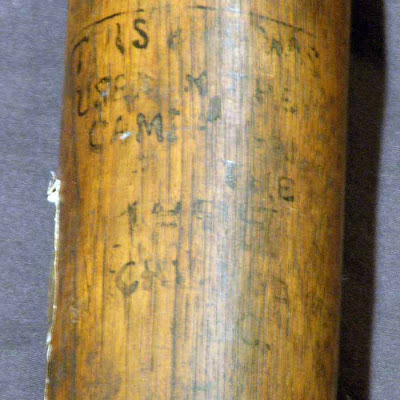 First, the barrel of the bat (see below) has the following inscription, "this bat was used in the campaign of the 1888 Chicago B.C. (Baseball Club) By Our Beloved Adrian C. Cap Anson." Second, the bat also has a piece of paper on the barrel that dates to the late 19th Century. Finally, the bat comes with a 1907 Sporting Life article explaining how the bat left Cap Anson's home. The article recounts the story of how Pittsburgh catcher Harry Peitz aka Henry aka Heinie Peitz, who enjoyed a 16 year major league career, was at the time of his meeting with Anson a member of the Pirates circa 1906. Peitz actually obtained this game bat while visiting Anson at his home. The Hall of Fame 3,000 Hit Club member encouraged Peitz to visit his home by stating "come out to my house this evening and I will show you something to make your eyes water". Who among us could possibly decline. Anson took him down to his cellar and Peitz was allowed to see hundreds of vintage hickory game used bats hanging in racks. Anson encouraged Peitz to take his pick as a momento and Heinie wisely chose the game used specimen presented in this lot. Currently the auction is at $66,500.00, but I would expect it to go for much higher than that.